Remember the good ‘ole days when a buck really meant something? 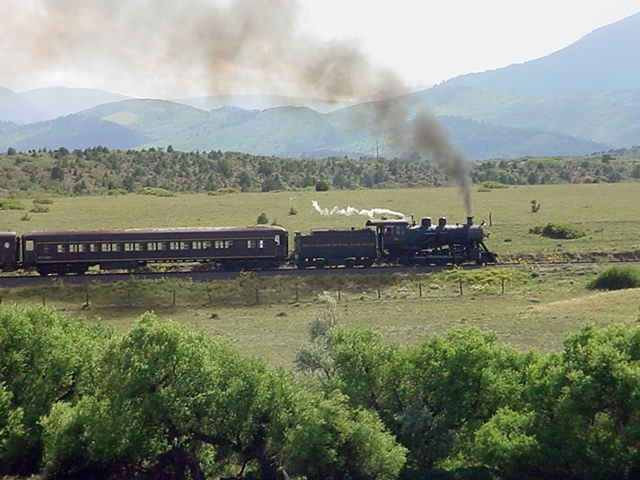 Well, vacationers can find it all again riding across Colorado’s San Luis Valley on the Rio Grande Scenic Railroad. Kicking off the 2009 season over Memorial Day Weekend, May 23 – 25, the train is offering a special daily ticket price that harkens back to 1878, the year the train’s route to La Veta, Colo. was first established. Throughout opening weekend, roundtrip tickets are just $18.78 per person. Passengers can board the train in either La Veta or Alamosa. 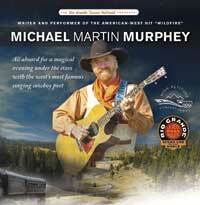 The $18.78 ticket price is good for adults, seniors or children and is available on a first-come, first-served basis. Other restrictions do apply. To purchase tickets, visit www.riograndescenicrailroad.com or call 877-726-RAIL. Just a quick update to let everyone know, the proposed sale of the Cuchara Ski Resort continues to survive the national economic gloom and doom. 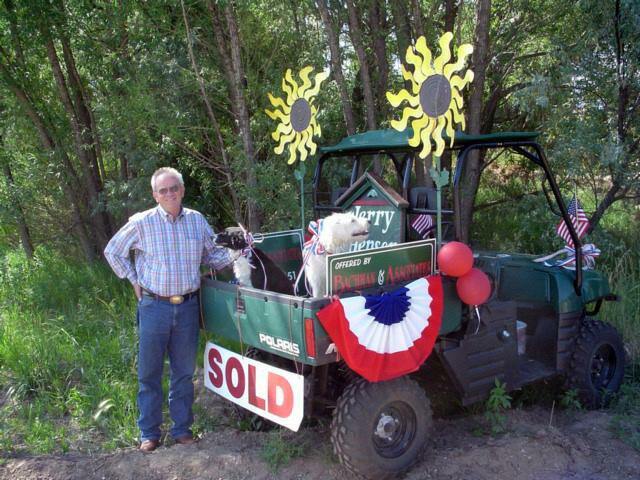 Buyers continue to remain Under Contract and are working on the complexities of Forest Permits, taxes, plats, surveys, etc. So for the time being, we still find an attitude of a willing seller and willing buyer. We will keep our fingers crossed. A big weekend is coming up here in La Veta. The annual Francisco Fort Day is set for July 26. Festivities begin early with a pancake breakfast and continue all day at the museum with stories, costumes, blacksmithing demonstrations, live entertainment and a hearty chuckwagon lunch in between. The weekend also includes our annual melodrama performances. Beginning Friday evening and running through the next two weekends, come see “Foiled by an Innocent Maid ” at the Francisco Center for the Performing Arts. We had a Santa Fe friend visiting this weekend so Liz cooked up some breakfast burritos and we took a breakfast picnic up to Wahatoya Camps (aka Little Kansas). After passing through all the quaint old cabins we hiked up the stream to our picnic spot. The dogs played in the creek, we ate and talked and just relaxed. A beautiful morning here in the valley. Yesterday evening we took her over to the pasture to see the horses. 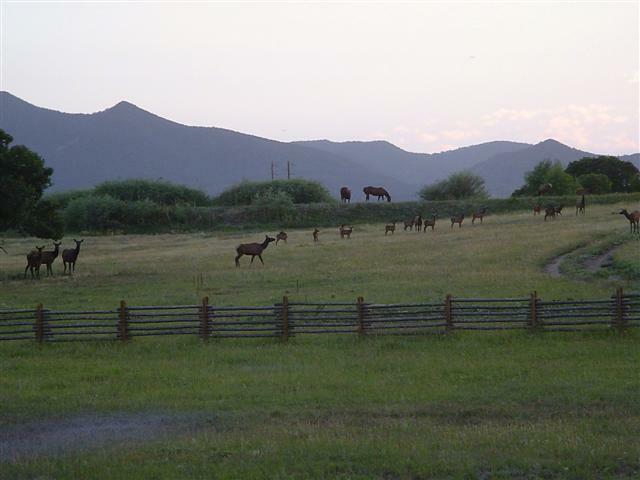 And to our surprise, we found a small bunch of elk right in with the horses. Lots of small elk calves no more then a month old were with them. Quite a sight. So, when are the July 4 th Parades? Well, in Cuchara it is ALWAYS held on July 4. 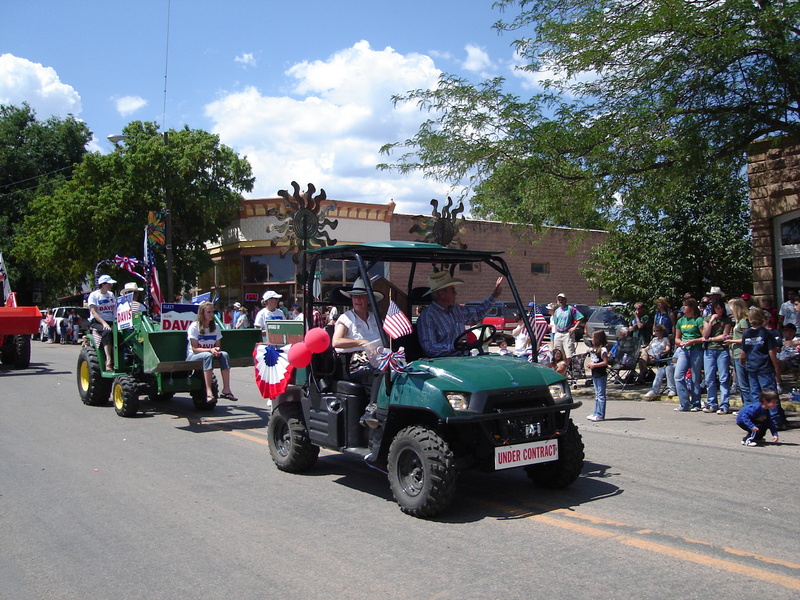 But in La Veta, it is held on the Saturday closest to July 4, which is actually July 5 this year. So you can see both parades, plus Art in the Park, Rotary Bar-B-Q and more this weekend. Happy 4 th, whenever that may be. If you are planning on fireworks or even camping over the upcoming holiday, please note that the County has issued a Stage 1 fire ban due to unusually dry conditions. We have been very fortunate that no major wildfires have occurred in the area and caution is urged to keep it this way. Fireworks are now prohibited and campfires are restricted to developed campgrounds only. If you’re getting tired of the typical backyard barbeque in the evenings, try a Cowboy Breakfast Cook-Out. We had 8 couples over to our place near La Veta this past Saturday morning for a western camp breakfast. Everything cooked outside, either on the pot-rack in the open firepit or over a simple gas flame. We had scrambled eggs plus my special poached eggs cooked in mushroom sausage-gravy. Sizzlin’ sausage patties, dutch-oven biscuits, potatoes and cowboy coffee. All topped off with juices and fruit. It was great, eventhough I forgot to serve the potatoes . We love to entertain and I especially like to cook outdoors in the cast iron dutch ovens. Send me your favorite dutch oven recipes. La Veta is rapidly becoming known as a small but growing Arts mecca, but sometimes overlooked is our love for music. The incredible selection of musical venues was apparent last week with progressive bluegrass at Old La Veta Pass, live music (Chicago Connection) at the Timbers in Cuchara and country music at the Dog Bar. Coming this week – Chip Dolan Band opening the First House Concert at Claude & Michele Appel’s house, Music for the Spanish Peaks at the Methodist Church and Broadway and Cabaret at Tims Art Quilt Studio. The music plays on throughout the summer. Watch for more!